Klayman: Two-Faced Sen. Lindsey Graham Has to Own Up! Trump, Do Not Trust Him! 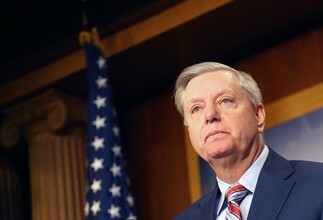 Sen. Lindsey O. Graham (R-S.C.) said Monday he had told Sen. John McCain to give the FBI the dossier on the Trump campaign's alleged ties to Russia, a revelation that comes after Trump repeatedly assailed the late Arizona Republican over the issue.